Friends. This post is going to change your life. I know you have too many things going on. I know you don’t know where to begin. I know it seems all overwhelming. I also know that your Google Calendar just isn’t cutting it. You are a paper and pen kind of girl and you are aching for ORDER. PRETTY ORDER. Well, guess what? I have a totally chic solution and it’s going to rock your world. I mean, I just about fell on the floor when I got wind of the Erin Condren planner and organization line. If I somehow manifested into a planner… I think I would look like one of hers. So FUN!! Audrey and I headed out to a local Staples to interview the one and only as she launched a new distribution channel for her goods. That’s right! 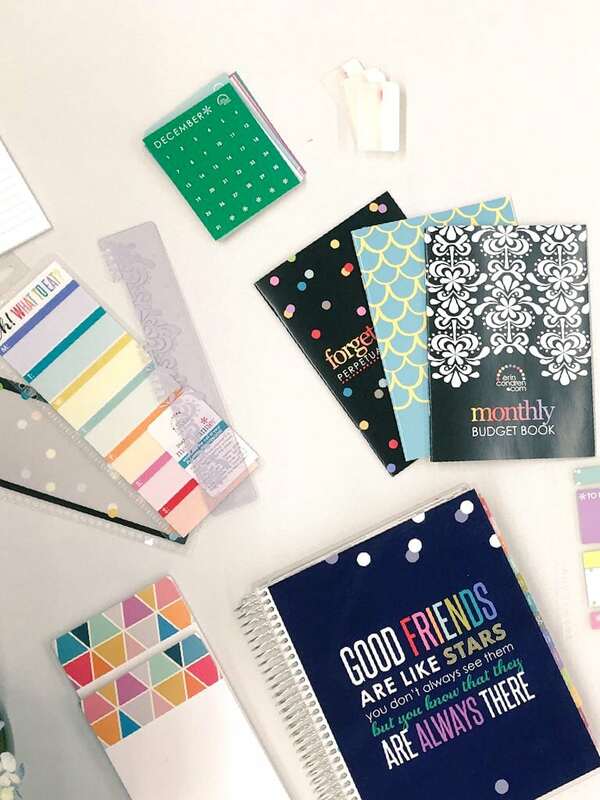 You can now get Erin Condren’s organizational tools at select Staples (almost 400 nationwide). 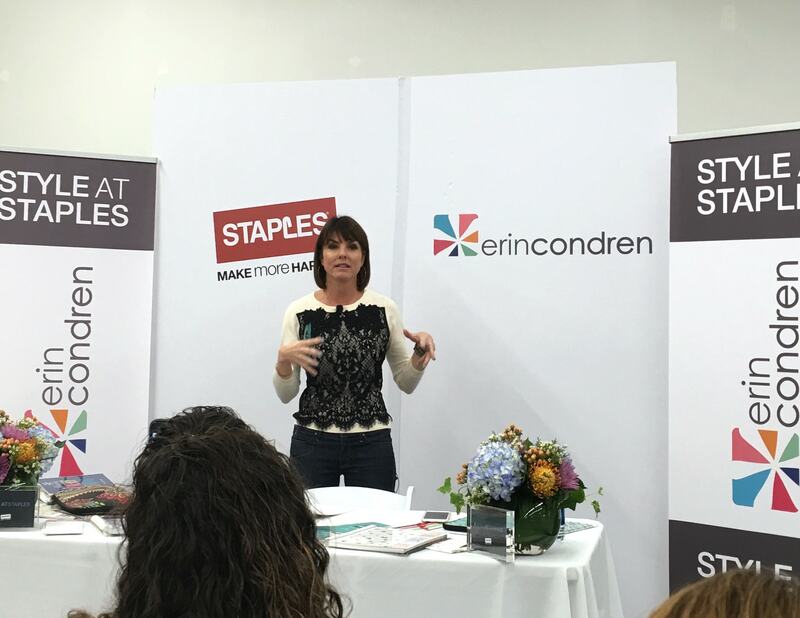 Whether you are looking for life planners, accessories, budget balancers, nutritional documenters, desktop tools, stickers and more… Erin has you covered. 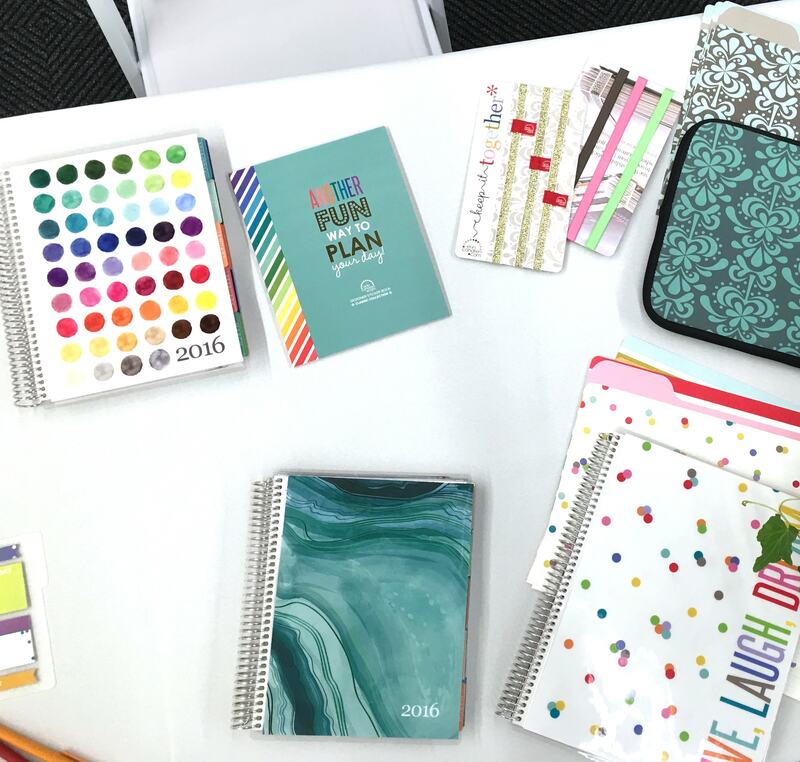 Want your planner personalized? Yes, she does that too! I snagged one for my daughter and one for myself. I have another post coming up on that in a bit. I wanted to help Natalie take back her mismanaged academic career. Yes, I said it! I just KNOW that this is the way to do it. 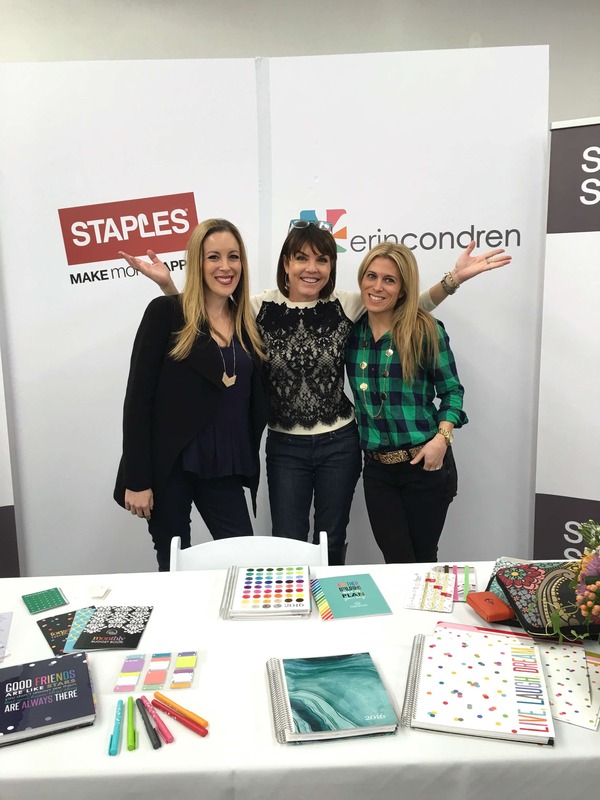 Erin Condren was kind enough to sit down with Audrey and me and give us an interview – our first in the Hustle Diaries. She opened up about how she started, why she decided to go so bright and bold and how her very own children use her planners. For more information on Erin Condren, visit her website! To see which Staples her amazing line is available in, click here. She was so personable and friendly and kind. I wish her NOTHING but success and joy in her life. 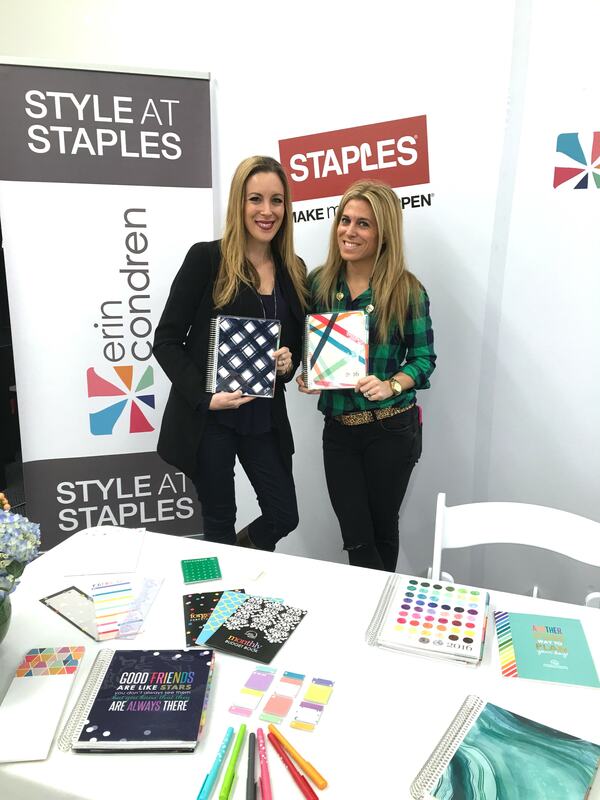 *I’ve teamed up with Staples to help spread the word about the introduction of Erin Condren’s line to their stores.